“Come to Me . . and you will find rest for your soul.” Matthew 11:29 NIV. Weariness worsens when you do not know when or where you will again find rest. Vince Lombardi, famed coach of the Green Bay Packers said, “Fatigue makes cowards of us all.” No one can do their best or be their best when tired. Fatigue negatively impacts everything. Fatigue has been described as, “a shortness of breath in one’s soul.” That kind of describes it for me. When I grow tired, I am more negative, less prone to see solutions than problems. At such times, motivation is difficult to muster. I am less patient with myself and others. Fatigue adversely affects your emotions, attitudes, behavior, decisions, and relationships. The busyness and unrelenting pace of daily life are exhausting. Everybody knows what it means to just feel tired of being tired. When fatigued, you are affected physically, emotionally, mentally, or spiritually. There is that which exhausts the soul as well as wearies the body. Everything grows more difficult; even things you would otherwise find enjoyable or easy are more taxing when tired. Weariness worsens when you do not know when or where you will again find rest. The worst fatigue is beyond physical; it is a deep weariness of soul that only God can heal. Daniel prophesied of a future time which would, “wear out the saints of the Most High.” Daniel 7:25 KJV. Does that sound a bit like this generation? Keep your objectives clear; remember that reward and satisfaction follows obedience. God’s Word gives clear direction. Isaiah discovered, “This is the rest with which you may cause the weary to rest. This is the refreshing . . Those who wait upon God get fresh strength; they run and don’t get tired; they walk and don’t lag behind.” Isaiah 28:12/40:28-31 MSG. Time in God’s presence rejuvenates the soul. The practical exercises of prayer, Bible meditation, worship, singing, thanksgiving, confession, and personal reflection elevate and refresh the spirit of man. Practice those frequently and faithfully. You were created to be productive, but God wisely built into your emotional and spiritual DNA the requirement for seasons of rest. “Six days you shall labor, but on the seventh day you shall rest; in the plowing season and in harvest you must rest.” Exodus 34:21 NIV. The busy, demanding times of planting, as well as harvest, would seem unlikely times for rest. Wouldn’t immediacy and importance of task dictate that you persevere? But God cautions that despite the urgency of preparing the soil for planting or when reaping the harvest, you need to follow the Sabbath principle of timely rest. The Sabbath principle is not a suggestion. God commanded, ”Remember the Sabbath, by keeping it holy.” Exodus 20:8 NIV. You ignore God’s instruction to your own harm. Many things will deplete your inner resources, until you embrace God’s invitation, “Come to Me, all you who are weary and burdened, and I will give you rest . . And you will find rest for your soul.” Read Matthew 11:28-30 NIV. Rest for your soul is the only cure for weariness of soul, and that rest is found through unhurried time with God. St. Augustine, Christian theologian (354-430 AD), is reported to have written, “My soul is not at peace until it finds its rest in Thee.” Maybe you have been looking in all the wrong places for what can only be found in God. Today, my prayer for you is that you are confident where to find inner rest for your soul. “Let no debt remain outstanding, except the debt to love one another.” Romans 13:8 NIV. Love prompts more love just as debt provokes more debt. A father gave his son this advice, “Neither a borrower nor a lender be; for loan oft loses both itself and friend, and borrowing dulls the edge of husbandry.” (Shakespeare’s Hamlet, 1602). That is sound advice still today. Debt has become a way of life. National economies depend upon increasing consumption, continually persuading and pressuring people that debt is a small price for gratification. You can resist; and you should. It’s simple really, “The borrower is servant to the lender.” Proverbs 22:7 NIV. Marketing feeds the appetite for more, and newer, and bigger, and better, therefore more expensive. Actually, your needs are not more but your wants are. Credit cards have made debt difficult to resist, motivating the consumer economy and growing a staggering personal indebtedness. Debt can be described as, “Buying things you don’t need, with money you don’t have, to impress people who don’t care.” Debt merely begets more debt, adding more worry from a growing weight of debt. I grew up in a modest but comfortable, mid-western family. We never had too much, but we never seemed to have too little either. I was taught that what you earn and all you have comes from God through His blessing on your honest labor. See James 1:17. Therefore, the first portion is given back to God as a tithe, in recognition of His benevolence and in obedience for His continued blessing. Read Malachi 3:10-12. After that, everything you have is a matter of stewardship, not ownership. 1 Corinthians 4:2. From my Dad, I learned a useful, financial principle. “Never spend all that you earn, and you will always have something extra when needed.” That became a rule of personal economy that I still follow today. Most importantly, that works. Life is simpler; worries are less; greater freedom is enjoyed. Debt results from trying to provide for yourself what God has not yet made available. The Bible says, “Give everyone what you owe him . . Let no debt remain outstanding, except the continuing debt to love one another, for he who loves his fellowman has fulfilled the law . . whatever other commandment there may be, are summed up in this one rule: Love your neighbor as yourself. Love does no harm to its neighbor.” Romans 13:7-10 NIV. That verse seems an unusual pairing of financial debt and a loving lifestyle, teaching that financial debt is not advisable; relational debt is not avoidable. One you are told to avoid; the other you are taught to fulfill. Here’s how I think they relate and differ. Both are responsibilities to which you obligate yourself. Financial debt is about you and your wants; relational debt is about others and their needs. Financial debt preoccupies you more with yourself and with less thought and available means to serve others. Financial debt concerns you with satisfying your wants, paying your bills, while absorbing any extra. Relational debt redirects you toward others, giving instead of getting, meeting their needs before your wants, and sharing the good you have received. Love prompts more love just as debt provokes more debt. God’s way is always the right way. Today, my prayer for you is that you realize that debt trades the ultimate for the more immediate. “Nobody should seek his own good, but the good of others.” 1 Corinthians 10:24 NIV. 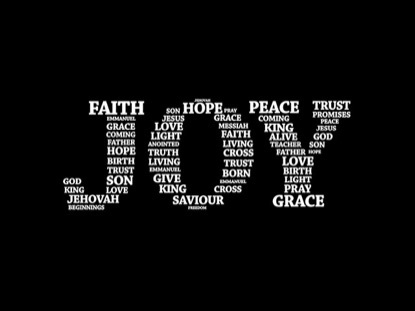 The simple secret to joy is Jesus first, others second, and then yourself. Life in God’s Kingdom means accepting a vastly different value system. The Bible says, “Let no one seek His own [good], but each one the other’s well-being.” 1 Corinthians 10:24. If you are honest with yourself, you know that is not natural to any of us; it’s hard to do and easy to forget. The natural tendency is toward selfishness, smartly camouflaged a bit but still selfish. 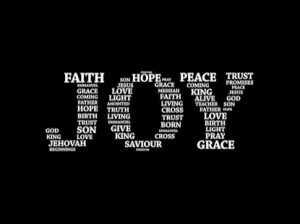 When I was a child, joy was explained to me this way, “The secret to joy is Jesus first, others second, and then yourself — J-O-Y!” That’s how life is supposed to work, and the only way that it works best all the time. Trying any other order makes life confusing, more work, and less satisfying than it ought to be. I confess that I should be better at this than I am. My Mom was a consistent example of someone who put Jesus and others first, and my sweet wife, Gayle, is the same. But that’s not the natural order for any of us. Adapting to the surrounding culture is easier because it comes more naturally than the Kingdom’s culture. That philosophy of life reads this way, “Me first, everyone else second, and some not at all.” Me first, first in line, first for advantage, first with privilege, first in consideration and leftovers for everyone else. You live in a “me first” world, and it will be hard to resist the temptation to think that is the only way you will survive. We are often like the disciples, squabbling over who will have prominence and will be the greatest. Too much of life is wasted maneuvering for position, manipulating for influence, finagling for advantage, and subtly moving toward the front of the line. But Jesus told them the simplest and truest secret to joy, “To be the greatest, be a servant . . those who think themselves great shall be disappointed, but those that humble themselves shall be exalted.” Matthew 23:11-12 TLB. Have you noticed that the most gracious and selfless people are the most genuinely happy? Look around you; the most benevolent of people are the most content and fulfilled. Those who are always keeping score and making sure they get first place or the bigger share are too busy with themselves of for thoughts of others. That’s a very poor, lonely way to live. And that’s where you face one of the great decisions of everyday life. Will I do what God says is right and best long term, or will I do what feels right to me now? In your heart you know that is best, but it doesn’t set right to your self-centered nature. Living in the Kingdom of God means embracing this heart changing truth, “It is not about you; it’s all about Him.” And He makes it about others too. “Be kindly affectionate to one another, in honor giving preference to one another.” Romans 12:10. Jesus taught, “You shall love the Lord your God with all your heart, all your mind, all your soul, and all your strength. This is the first and great commandment. And the second is like the first, you shall love your neighbor as yourself.” Matthew 22:37-39.You may wish it were otherwise. You may see that with most others, it is otherwise. But you must choose if obedience to God is the path you select. Today, my prayer for you is to choose the way that is right, not the way that feels right. ”He who refreshes others will himself be refreshed.” Proverbs 11:25 NIV. Generosity blesses the recipient and enriches the giver. Some years ago my friend, Harold, piqued my interest with these words, “What you make happen for others, God will make happen for you.” That is a Biblical principle affirmed in both Old and New Testaments. If you need encouragement, find others to encourage. If you need friendship, be a friend to those who need a friend. There is always someone whose need is greater than yours. Give out of your own need until you can give out of your surplus. “Serve wholeheartedly, as if you were serving the Lord, not men, because you know that the Lord will reward everyone for whatever good he does.” Ephesian 6:8 NIV. Be the one who meets the needs of others, and God will be the One who meets yours. Those times when your generosity seems not to be noticed or reciprocated, remember your reward comes from God, not man. And God keeps immaculate records. “God is not unjust; He will not forget your work and the love you have shown Him as you have helped His people and continue to help them.” Hebrews 6:10 NIV. I remember my grandfather saying, “God will be no man’s debtor.” God counts every benevolence as generosity toward Him. Jesus described a day when everyone will stand before God as their generosity or lack thereof is reviewed. “Come you who are blessed by My Father . . Whatever you did for one of the least of these brothers of mine, you did for me.” Read Matthew 25:31-41 NIV. Know this; liberality enriches you, leaving you with more not less. 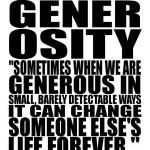 Generosity blesses the recipient and enriches the giver. “One man gives freely, yet gains even more; another withholds unduly, but comes to poverty. A generous man will prosper; he who refreshes others will himself be refreshed.” Proverbs 11:24-25 NIV. You may think that you cannot afford to be generous; the truth is that you cannot afford to not be generous. “Give, and it will be given to you. A good measure, pressed down, shaken together and running over, will be poured into your lap. For with the measure you use, it will be measured to you.” Luke 6:38 NIV. 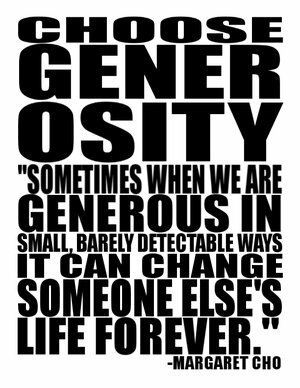 Generosity opens your life to the abundance of God while enriching the lives of others. I suggest that some measure of a person’s lack may even be the result of how little they give, rather than how little they have. “Remember the words of the Lord Jesus, that He said, ‘It is more blessed to give than to receive. '” Acts 20:35. Liberality is a lifestyle issue. “As you abound in everything – in faith, in speech, in knowledge, in all diligence, and in your love for us – see that you abound in this grace (of giving) also.” 2 Corinthians 8:7. Generosity is not only about money and things, it is about a lifestyle of generosity – in your words to and about others, offering encouragement, being positive, and giving praise – in a lifestyle of unrestrained expression for others’ kindness – by consideration and thoughtfulness where it would not be expected – in helpfulness through giving your time or lending a helping hand – and by tolerance and forgiveness for others’ shortcomings. “Whoever sows sparingly will also reap sparingly, and whoever sows generously will also reap generously . . for God loves a cheerful giver. And God is able to make all grace abound to you, so that in all things at all times, having all that you need, you will abound in every good work . . so that you can be generous on every occasion.” Read 2 Corinthians 9:6-11 NIV. See Galatians 6:7-10 NIV. In the time of harvest the work and weariness of sowing is never regretted. Today, my prayer for you is that what you make happen for others, God will make happen for you. “If God is for us, who can be against us?” Romans 8:31 NIV. Where God has clearly spoken in His Word there should be no question. Life generates questions. Many uncertainties arise from situations more imposed than chosen. Asking, “Why?” is usually futile. “What now?” is more useful. Learn how to deal with inevitable questions. The answer to some will be obvious; others puzzling, even apparently without answer. 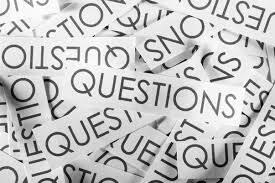 A few questions can and should be dismissed as mere curiosity, an unprofitable expenditure of thought and time. Most questions are challenging, demanding thought and adjusting earlier assumptions. Others can be answered through wisdom gleaned from life experience, thoughtful consideration, or wise counsel. Questions can and should be a gate to knowledge. Curiosity can either distract or direct you; choose the latter. Sometimes, I consider, “Is this question mine to answer, or for someone else to answer, or a question left for another time?” The right questions can be very helpful, opening new areas of consideration and discovery. The right question will direct you to the best answer. Questions should bring you to the truth found in God’s Word. God has, and is, the answer to all of your enquiries. 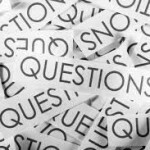 Among the trivial questions you are prone to ask, there are vital questions which need to be asked. Such questions demand an answer, such as when Job struggled to understand, “If a man dies, shall he live again?” Job 14:14. That honest query may be at the root of all truth. “And as it is appointed unto men to die once, but after this the judgment, so Christ was offered once to bear the sins of many.” Hebrews 9:27-28. Nothing about life will be sure or secure unless and until you live every day in the reality of eternal life. Jesus asked these vital, heart-probing questions, “For what profit is it to a man, if he gains the whole world and loses his own soul? Or what will a man give in exchange for his soul?” Matthew 16:26. No one is wise, nor has learned how to live, nor discovered what is most valued in life until trusting their life now and eternally to Jesus Christ as their personal Lord and Savior. This is a vital question, “How shall we escape if we neglect so great a salvation?” Hebrews 2:3. God’s Word says, ”Nor is there salvation in any other [than Christ]: for there is no other name under heaven given among men, whereby we must be saved.” Acts 4:12. Paul asked and answered vital questions with eternal truth he found in God’s character and faithfulness, “If God is for us, who can be against us? . . Who shall separate us from the love of Christ?” Romans 8:31/35/37-39 NIV. The answer that secures the soul and provides absolute confidence is this: no one or nothing can either prevail against you or distance you from God’s mighty power and love. When anything or even when it seems everything else is uncertain, of that truth let there be no question. Where God has clearly spoken in His Word there should be no question. “Now we know in part and we prophesy in part, but when the perfect comes, then the partial will be done away . . then I shall know fully. But now abides faith, hope, love, these three; but the greatest of these is love.” 1 Corinthians 13:9-13. Read that again; “Now we know [though only] in part.” That is the reality. Focus on the Word of God which you know and the character of God which is unchanging. Meanwhile, God’s offer is, “My grace is sufficient for you, for My power is made perfect in weakness.” 2 Corinthians 12:9 NIV. Some things just need to be trusted to God’s sovereign and exceeding wisdom and grace. Answer what you can; bring to Jesus what you cannot; walk in faith while doing either. Today, my prayer for you is that you are certain that every answer is found in Jesus Christ. Devotionals 1 Corinthians 13:9-13, 2 Corinthians 12:9, Acts 4:12, answers, confidence, curiosity, faith, full knowledge, God is the answer, Hebrews 2:3, Hebrews 9:27-28, Job 14:14, Matthew 16:26, no question, partial knowledge, questions, right questions, Romans 8:31-39, Salvation, saved, soul, sufficient grace, truth, vital questions, why?